Absolutely Delish: We heart pretty things! 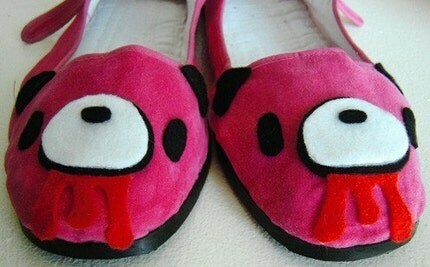 : coo, shoes. 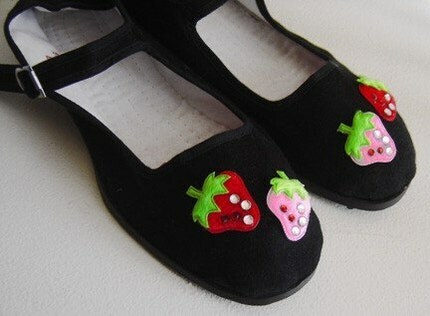 Em and Sprout gives a whole new take on the meaning of cute shoes, quite literally. 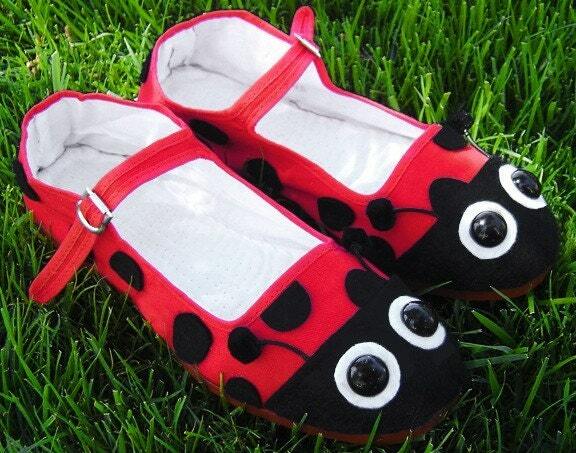 Simple footwear is embellished with sparkles, fabric and felt to create cute little personalities for your feet. And yes they are for adults! The only trouble is having the guts to wear them out of the house as they are sure to invite looks! Oh and custom orders are accepted too. 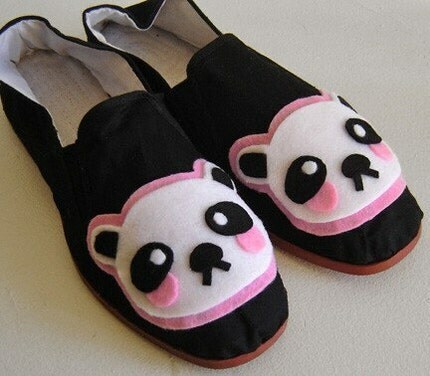 Oh man those are so cute and affordable! She even makes size 5 for tiny footed people like me!